Mr. Hambrick brings a fundamental background of M&A experience to the team at Generational Equity. 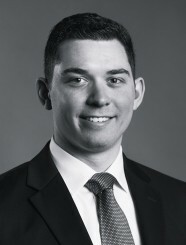 He has previously worked in middle market Private Equity as a Summer Analyst and as a Corporate Development Analyst for a petroleum distribution company. He received a Bachelor of Arts from Furman University and a Master of Science in Finance from Southern Methodist University.